Ignatz Lang and his wife, Franziska Lang (Eigner). Circa 1908. Ignatz Lang Sr. was born in Poiana Micului, Bukovina which was a part of the Austrian-Hungarian Empire at that time. Today his birthplace is apart of Romania. 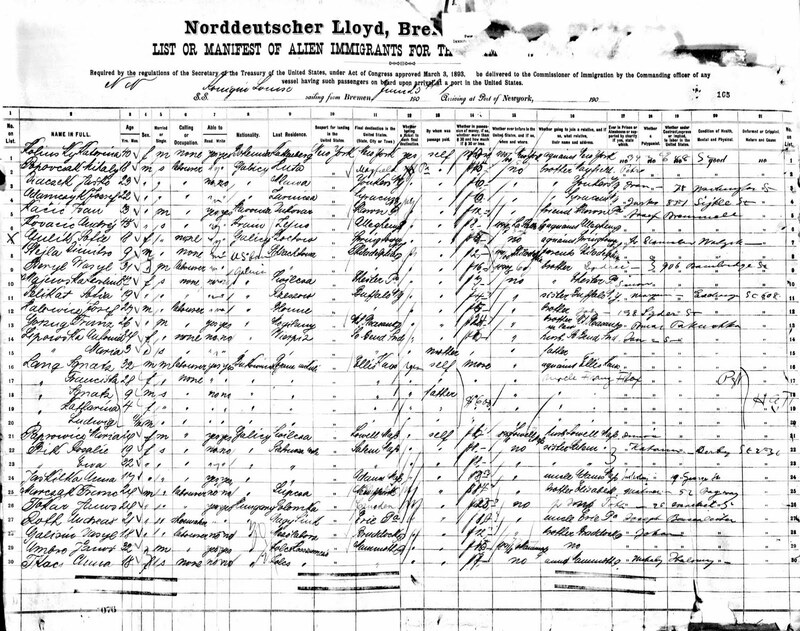 The nickname of the Lang family was `Maurer` Lang, this appears to be an aberration of the hometown of the Langs, `Maurenzer` The family immigrated in 1901. 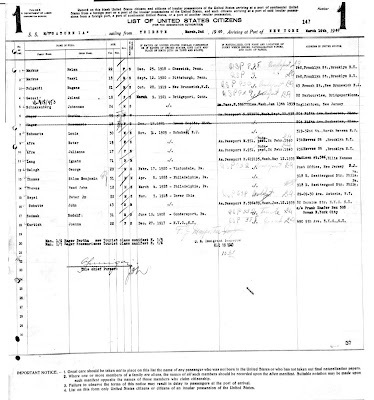 According to the 1925 Kansas state census, the family was naturalized in 1910. 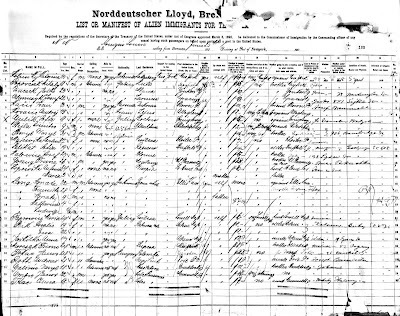 I haven't been able to find these records, nor could I find the family in the 1910 federal census. 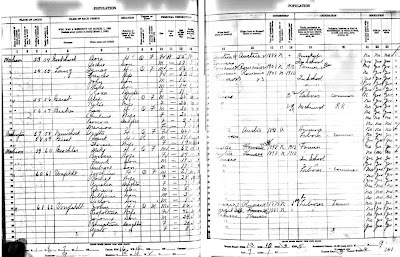 In the 1915 Kansas state census, the family is found in Riverside, Trego County, Kansas. 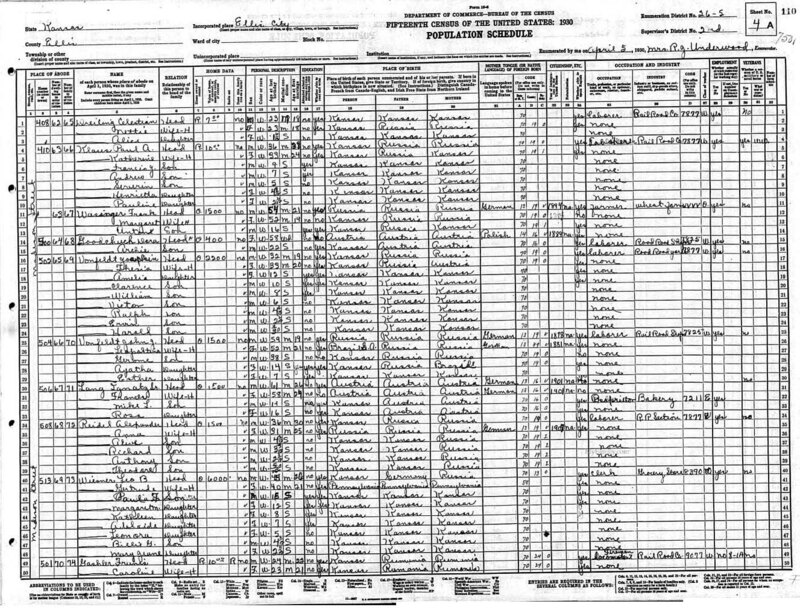 I was unable to find the family in the 1920 federal census, but by 1925, the family had moved to the town of Ellis, Kansas. They lived at 506 Madison St. 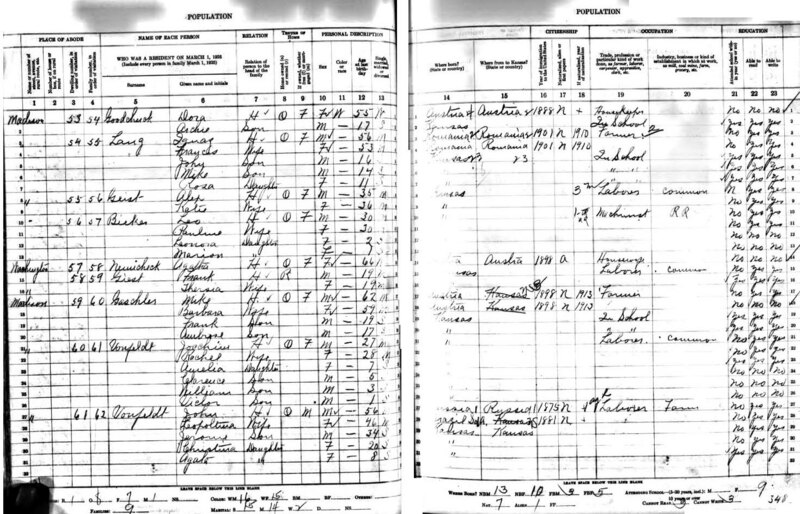 The 1930 federal census would find the family living in the same house 5 years later. Now they are listed as owning their home, which was worth $1500. 1. Ancestry.com. 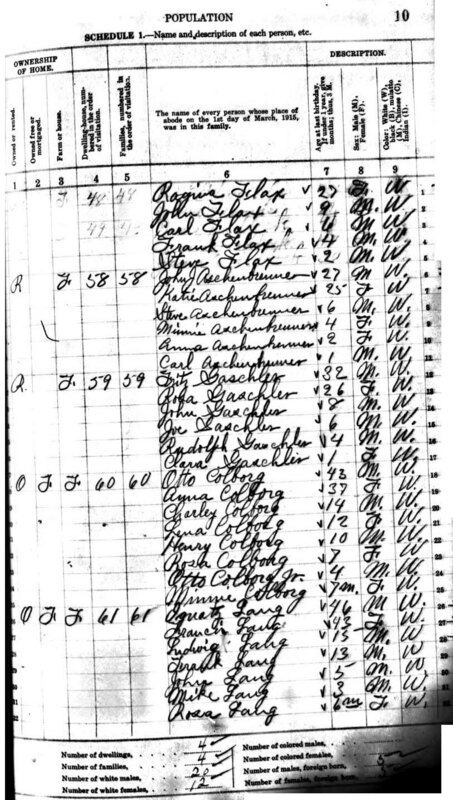 New York Passenger Lists, 1820-1957 [database on-line]. Provo, UT, USA: Ancestry.com Operations Inc, 2006. 2. Edward "Al" Lang, Barbara Ruth Herbst, email, 18 September 2002, "RE: 3 Lang children in 1909". 3. 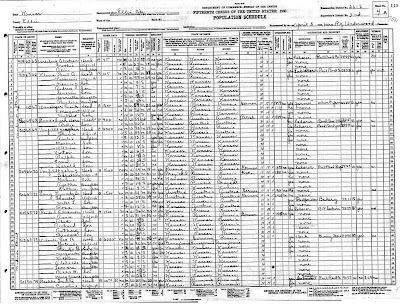 Ancestry.com.. Kansas State Census Collection, 1855-1925 [database on-line]. Provo, UT, USA: Ancestry.com Operations Inc, 2009. 4. Ancestry.com. 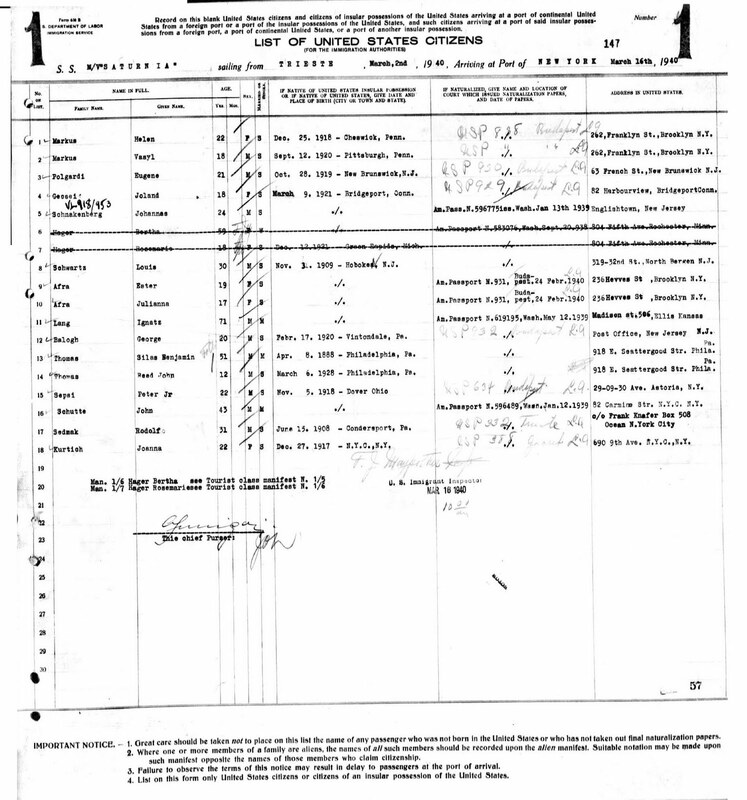 1930 United States Federal Census [database on-line]. Provo, UT, USA: Ancestry.com Operations Inc, 2002.